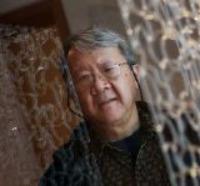 Brent Kee Young, glass artist and Cleveland Institute of Art Professor (currently on sabbatical,) has been recognized by scores of museums, galleries, colleges and universities in the United States and Asia, which have displayed and acquired his work and invited him to speak, demonstrate and teach. In 2006, the Smithsonian American Art Museum’s Renwick Gallery acquired its second piece by Professor Young for its permanent collection. Professor Young has conducted numerous workshops in the U.S. and Asia. He has served as a juror for The National Endowment for the Arts and lectured at the Smithsonian Institution's Renwick Gallery. In 1990, Professor Young was selected as head of glass at Aichi University of Education, Kariya, Japan where he was responsible for establishing the studio, designing and implementing the curriculum and teaching the first glass program in a National University in Japan.